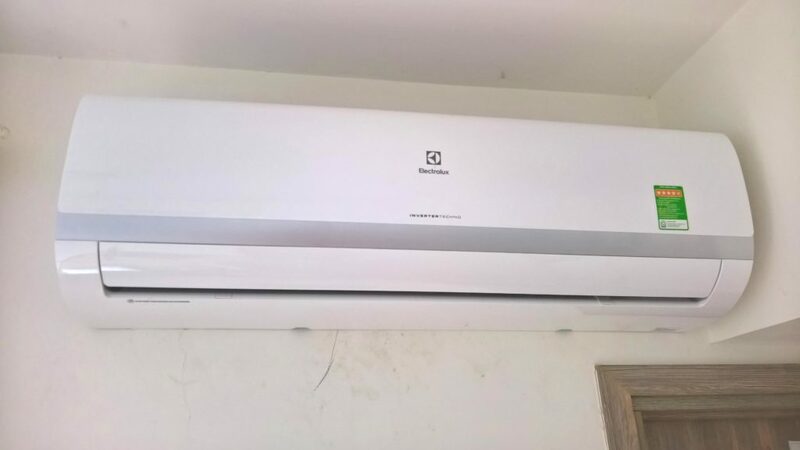 As an alternative HVAC solution, ductless mini-splits have been used in Europe for decades but have only recently started to gain prominence in the United States. There are several ways to heat and cool a home, from traditional central heating to portable and wall-mounted air conditioning units. However, there’s one option many homeowners haven’t heard of: ductless mini-splits. While they aren’t new (they’ve been used in Europe for decades), mini-splits have only recently started to gain prominence in the United States, which is why they still aren’t very well-known. Even if you have heard of ductless mini-splits, you may not fully understand what they are, how they work or whether they’re a good option for your home. Read on to learn more about this exciting HVAC application. A ductless mini-split is a non-vented device that provides conditioned air to a particular area of the home. Mounted to the wall or ceiling, the unit is connected to an outdoor compressor (which can support up to four indoor units) and powered by electricity. Multiple mini-splits can be used in tandem to heat and/or cool various individual rooms or “zones” throughout the home. Since they don’t require ducted ventilation to operate, mini-splits provide a convenient solution for specific residential heating/cooling challenges. Whereas installing or expanding ductwork is often an invasive job, all that’s required to install a mini-split unit is a three-inch hole for running hook-ups to the outdoor compressor. Once it’s hooked up (and plugged in to electrical power), the unit can be easily mounted to the wall or ceiling. By allowing you to custom-set the temperatures in individual areas of the home, mini-splits give you greater control to maximize your comfort level. High-efficiency mini-split units consume less energy than similar types of heating and cooling units. This is largely due to their inverter-driven compressors, which speed up or slow down as needed rather than completely turning on and off like traditional HVAC compressors. Efficient performance isn’t the only way ductless mini-splits can reduce your energy bills. Due to their zoned configuration, you can turn off the units in unused rooms so you aren’t paying to unnecessarily heat or cool them. Additionally, since mini-splits are electric-powered, if you have or are thinking of adding a solar energy system, you can potentially cut your heating and cooling bills down to zero. While ductless mini-splits can save you money in the long run, they cost a pretty penny at the outset. According to the U.S. Department of Energy, a ductless mini-split system costs an average of 30% more to install than a central HVAC system. Keep in mind that this statistic specifically pertains to homes that already have central air ducts. Ductless mini-split units have air filters that need to be washed on a frequent basis—at least once a month, and potentially more often if you smoke or have pets. Since they’re mounted on the wall or ceiling in each room they serve, mini-splits are quite conspicuous and may visually interfere with your décor. Since installing a complete ductwork system in an existing home is prohibitively expensive, mini-splits offer an affordable and effective solution. Expanding your home’s air ducts to accommodate an added room can be costly and difficult, which is why many homeowners opt to use a mini-split unit instead. Whether you have areas in your home with specific heating/cooling challenges or family members who can’t agree on the thermostat setting, the addition of one or more mini-splits can provide an added measure of comfort and customization. Why a Mini-Split Instead of a Window Unit? In general, mini-splits are far more energy-efficient and thus cheaper to run than window units. Mini-splits operate more quietly than window units. A window unit not only blocks the view from your window, it also blocks incoming light. Since a mini-split is mounted to the wall or ceiling, it won’t interfere with either. Window units typically aren’t airtight, which can compromise comfort and energy efficiency. By leaving the home more vulnerable to break-ins, window units pose a security risk, especially when installed in ground-level windows. There are several ductless mini-split models on the market today, so be sure to shop around and find a quality one. Check each model’s Seasonal Energy Efficiency Ratio (SEER) and Energy Efficiency Ratio (EER) ratings to gauge their performance. Consider purchasing an Energy Star-rated model to ensure maximum energy efficiency. Perhaps the most important aspect of installing a mini-split system is performing calculations in regard to room size, air flow and other pertinent factors. These calculations are crucial for determining the correct size, capacity and placement of your mini-split units. If the calculations aren’t done correctly, system performance and in-home comfort will suffer. Since mini-splits are powered by electricity, you’ll need to make sure your home is equipped to provide for minimum power requirements. Smaller mini-splits (12,000 Btu or less) can be plugged into a standard 110 volt outlet, but larger units often require a 220 volt outlet. Depending on the size and number of mini-splits you plan to install, modifications to your existing electrical panel and outlets may be necessary. Due to the complex calculations that go into sizing, designing and installing a mini-split system, it’s vital to hire a contractor with the skills and experience to ensure accuracy. To find a Diamond Certified HVAC contractor in your area, visit www.diamondcertified.org. Photo credit: Donald Trung, shared under a Creative Commons license.